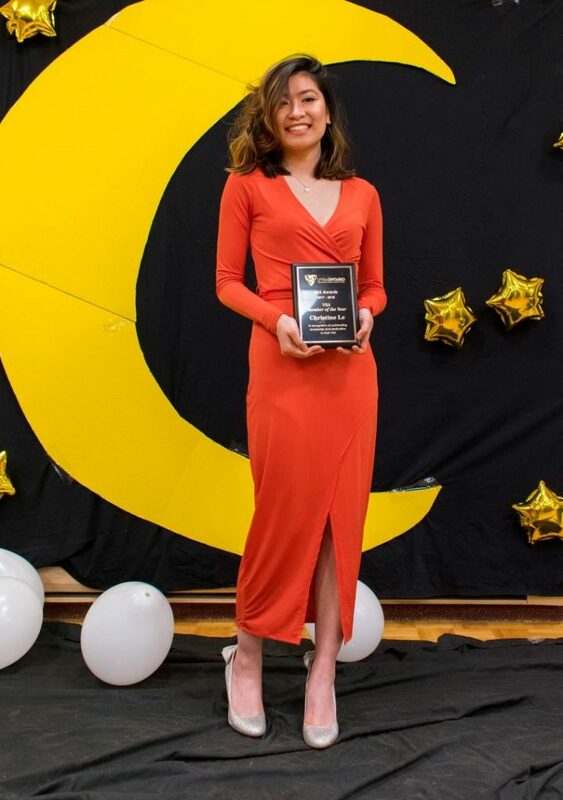 Christine Le recently was selected as VSA Member of the Year at the UVSA Ontario Leadership Summit for her accomplishments during the 2017-2018 academic year. The criteria for the VSA Member of the Year is as follows: “This individual has showcased outstanding commitment and dedication to their VSA. He/she has consistently demonstrated high leadership qualities within their VSA and showcased success towards their VSA goal.” Nominees for this award had to demonstrate qualities that made them outstanding in the following areas, including but not limited to: recruitment, marketing, outreach, use of resources, event planning, spirit. As well, during the nomination process, VSA members had to outline detailed and concrete examples of how this VSA member demonstrated the aforementioned qualities and the impact that the contribution and/or achievement had on their overall VSA and Vietnamese community. Christine Le took on a huge leadership position. Not only was she the President of the University of Toronto Scarborough Vietnamese Students Association (UTSVA), but prior to her presidency term, UTSVA did not exist and as a result, she and a group of her VSA friends started up this club including developing a sponsorship package, consulting with various influential VSA members within the Eastern Canada region, and outreaching to the Vietnamese community and various organizations. Because of her achievements and contributions, Christine was able to start up UTSVA with the hope of building a stronger Vietnamese community at the University of Toronto Scarborough and act as a liaison between students and the Vietnamese community. Christine is a huge advocate of networking and professional development and apart from the social events that she organized, she has emphasized the importance of having these networking events by connecting with a lot of seniors and juniors from her university’s community. Christine has done this by interacting with execs and students on campus in reaching ways to effectively engage in the Scarborough Vietnamese community. One of the events that Christine brought to her VSA was the Undergraduate/Alumni Talks where UTSC Students (Career Panelists) of Vietnamese descent shared their personal experience of being a student in Canada by reflecting on their personal and career ambitions. Those stories have touched a lot of students’ hearts as it talked about adversities surrounding being a first generation student, as well as being Vietnamese Canadians of being undermined and marginalized in society and negatively rejected in institutional spaces because of their identity and background. It made a lot of members realize that there is more than just the representation of a person’s skin and that the competencies and qualifications of a person should be recognized. Additionally, Christine played a pivotal role in advocating for unity within the UVSA Ontario member schools. 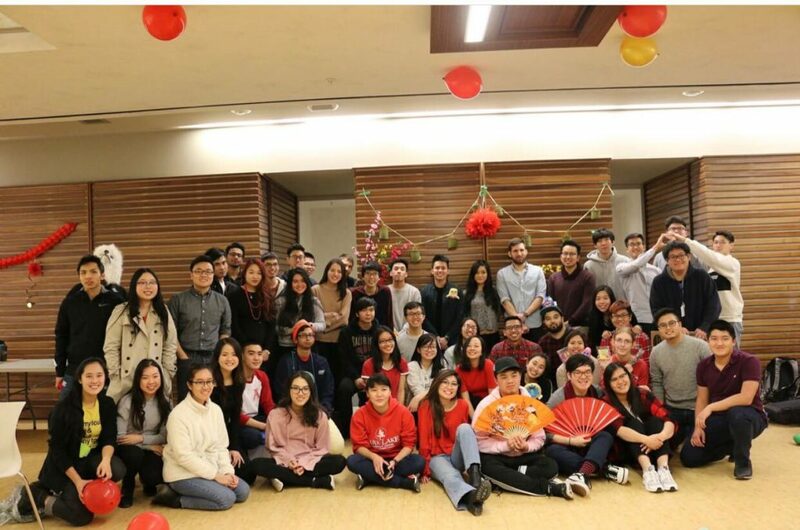 Together, with the University of Toronto sister campus Presidents, she spearheaded a tri-campus Tet event that touched upon culture, unity, leadership, and philanthropy, 4 of the pillars that UVSA Ontario stands for. Through this event, many VSA members were able to network and socialize with each other and this allowed for a plethora of opportunities to arise for all three VSAs that were involved in the planning process. This sparked a lot of passion in students who were new to VSA and established a sense of family within the VSAs by breaking the common negative stigma associated with joining a Canadian VSA. Without Christine’s role in the VSA community, UTSVA and the sister Toronto VSAs would not have positively benefited. Christine is a very motivated, driven, and passionate individual who had hoped to build a Vietnamese community in Scarborough, Ontario as a result of her interactions with the Vietnamese Student Associations in Toronto, Ontario. Christine’s motivation to achieve her passion for the Vietnamese culture is outstanding. Having entered her freshman year of university, she noticed that there was no VSA at her school. Not feeling discouraged by this, she would commute to the closest VSA to her, UTVSA, in Toronto, Ontario and partake in their VSA events. She even performed and acted in UTVSA’s Ignite Culture Performance during her first year. Seeing the success and passion of individuals at UTVSA, Christine quickly knew that she had to be the catalyst for change within her university’s community and began seeking advice from UVSA Ontario Board Members and attending their Gala Event in order to network with the VSAs from across Ontario. From this event, she was able to gather enough resources to start her own association. Since starting the club, Christine has been an ambassador for her VSA. 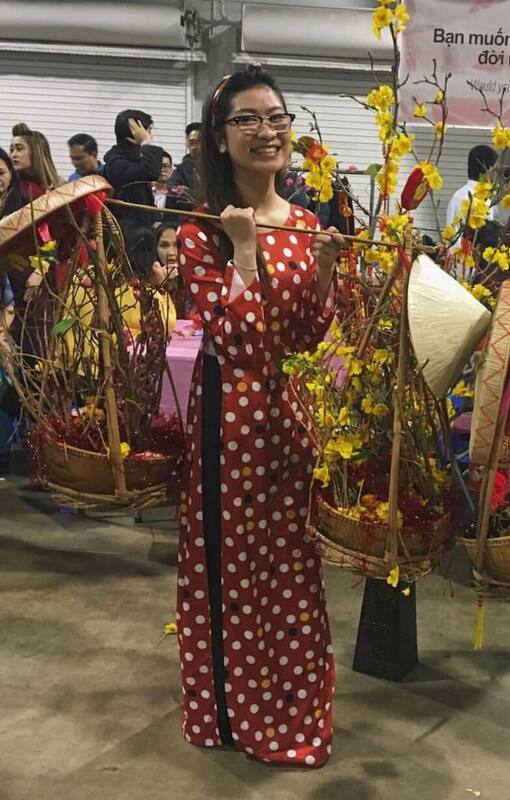 She not only is seeking opportunities for her club to grow, but is also encouraging her executive members to take on leadership roles and get involved with the community by advocating for the pillars that UTSVA stands for, which includes celebrating Vietnamese culture through event engagement and providing members with opportunities through volunteering and professional development. Without Christine’s pioneering efforts, there would be no VSA at her campus and there wouldn’t be an addition of another VSA under UVSA Ontario’s member schools. This Google Doc link directs you to the Sponsorship Information Package Word Document, which includes additional information about UTSVA, event details, and partnership benefits. Christine Le put together this package when she started up the club from nothing this year. Her intent in creating this package was to establish a working relationship with Vietnamese professionals and organizations that would be willing to support a newly formed Vietnamese Student Association. This Google Docs link outlines all of the events that UTSVA hosted this year. Christine Le approached UVSA Ontario members at the start of the year, asking how she could make her VSA represent UVSA Ontario’s 4 pillars. Christine was a huge proponent for making her VSA an association where VSA members can benefit not only socially, but also academically through ample opportunities to network, de-stress, and contribute back to the community through philanthropic causes. This shows one of UTSVA’s Instagram posts which is an infographic outlining the many things that UTSVA has to offer. Christine tried to think of a social media campaign that appealed to a specific target audience on campus. By making it visually appealing, it attracted many members to events.